✔️THERAPEUTIC PROPERTIES. Ashwagandha root is nutrient-dense and rich in prebiotic fructo-oligosaccharides, vitamin A, essential amino acids, calcium, and iron. The active ingredient in ashwagandha is a group of flavonoids called withanolides, which help support the body’s ability to manage stress symptoms and promote relaxation. Withanolides are main active compounds that give Ashwagandha its powerful ability to help the body with physical and mental stress. ✔️HIGH WITHANOLIDES. 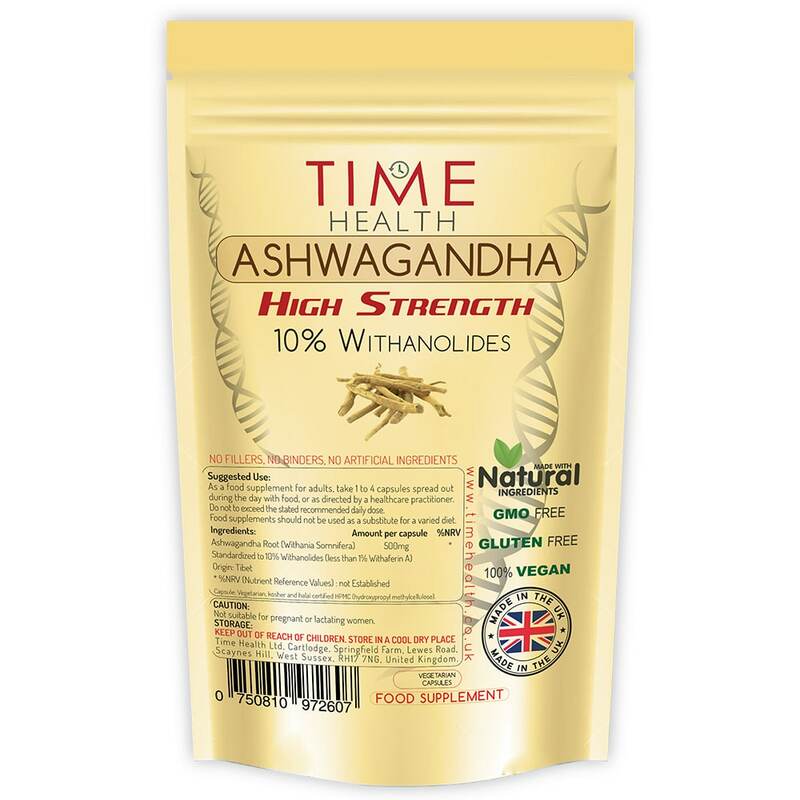 Time Health Ashwagandha is tested at 10% Withanolides (HPLC measured) and contain less than 1% Withaferin A. Inferior brands use an extract % as a way to hide the fact that their product has low Withanolides, even if the product has an incredibly high extract % without Withanolides you’re not getting the full potential of this amazing product. Always ask these levels before you make any purchase of Ashwagandha. [FYI] We now also have our Organic Sensoril Optimised Ashwagandha with 11% Withanolides which helps support relaxation and reduces symptoms of fatigue, simply search “time health sensoril ashwagandha”. 500mg Ashwagandha Extract Standardized to 10% Withanolides. Ashwagandha is an adaptogen, a class of herbs which works holistically to bring the body back to balance and help it function efficiently. Many of today’s chronic health problems are related to the body being “stressed” and out of balance, this is why ashwagandha is effective against such a wide variety of ailments. Ashwagandha can provide energy to a lethargic person, yet it can also help with sleep. It helps to reduce stress and anxiety and balances the hormones and helps both men and women with strength, mental clarity, and libido. 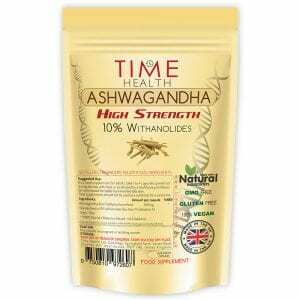 In India, Ashwagandha is known as the “strength of the stallion” since it has traditionally been used to strengthen the immune system after illness. It also boosts your supply of antioxidants and regulates your immune system. 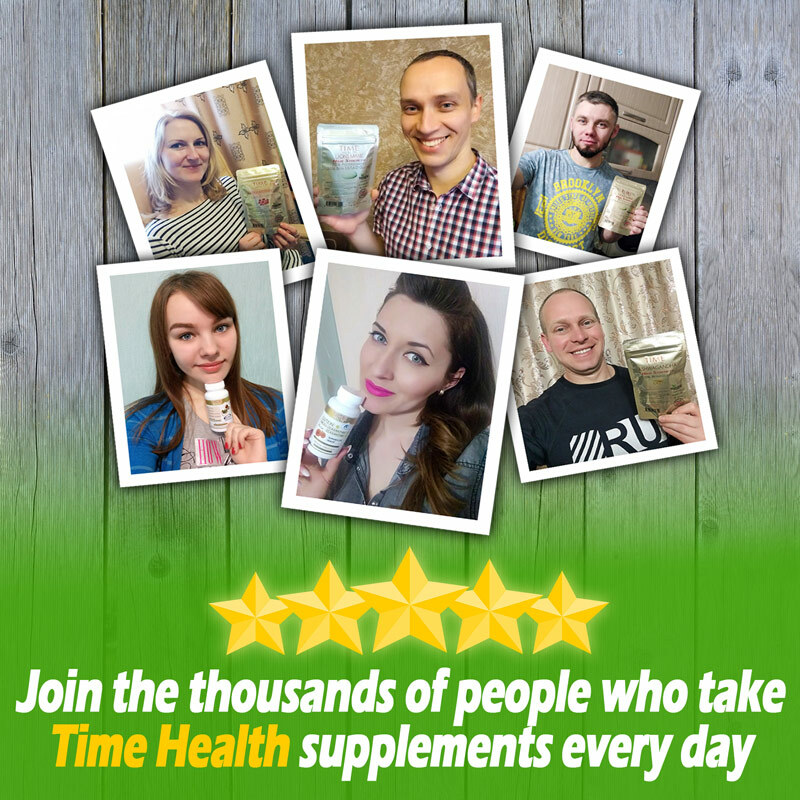 IMPORTANT: If this is your first time taking Ashwagandha we advise taking half a capsule for the first few days as 1 whole capsule can be to strong for some. Also take it early in the morning. If you find it difficult to sleep you are taking to much. Ashwagandha does help you sleep but taking to much can have the opposite effect. This is seriously life changing. I had so many improvements in my health since starting using it. Seems to moderate my very high anxiety. 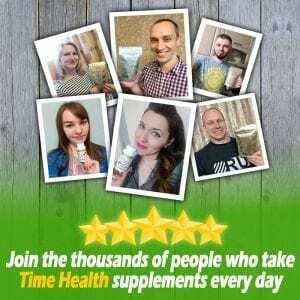 Perfect, highly recommend,excellent seller.Great product and price:) Thank you. Excellent 5*,thank you. Would recommend .